Contouring. The beauty buzzword of the moment. Contour kits are everywhere I look and everyone is after those chiseled cheeks. I am a big fan of contouring (anything to try and fake some definition, am I right?) my face, but what about contouring your eyes? I know. When I was in the hairdressers last week – I know, I finally got my hair cut! – I was flicking though Grazia and saw an interesting snippet on eye contouring. How to make your eyes look more defined, bigger and just generally better. Basically the article suggested running a darker colour through your crease and smudging the same under your lower lashline. I was intrigued, and mentally made a note to try it out as soon as possible. After trying it out I also attempted my first ‘pictorial’ – lovely Alina does posts like these which are so helpful and so pretty – so I thought I’d give it a go. 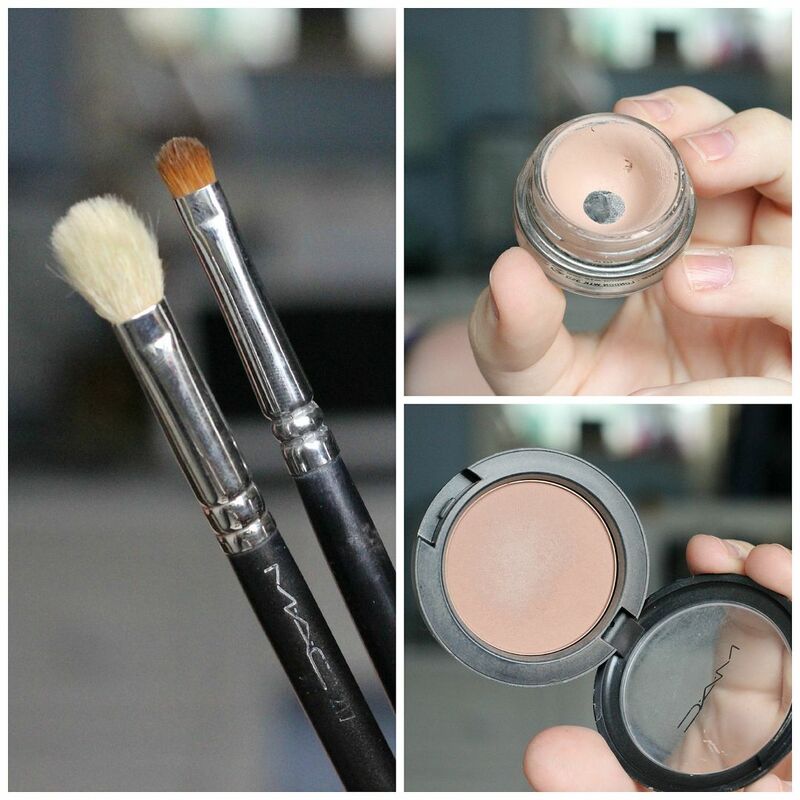 A neutral creamy eyeshadow base, preferably one that is close to your natural skin tone. The goal is to smooth things out and even everything out. I used my ol’ faithful, Painterly from MAC, which is so creamy and just brilliant as a base. Two brushes – one for the crease and a smaller one for smudging colour under the lash line. I have a MAC 217 and an old Crown one. A shade to contour with – you can use any natural taupe sort of shade. I used MAC Harmony, because I’m enjoying that at the moment. You could use an eyeshadow, or a cool-bronzer or the Kevyn Aucoin sculpting powder. Pretty much anything, as long as it’s matte and something that can create a shadow. Prep your eyes – put the base all over your eyes. Next, grab some product on your fluffy blending/crease brush. 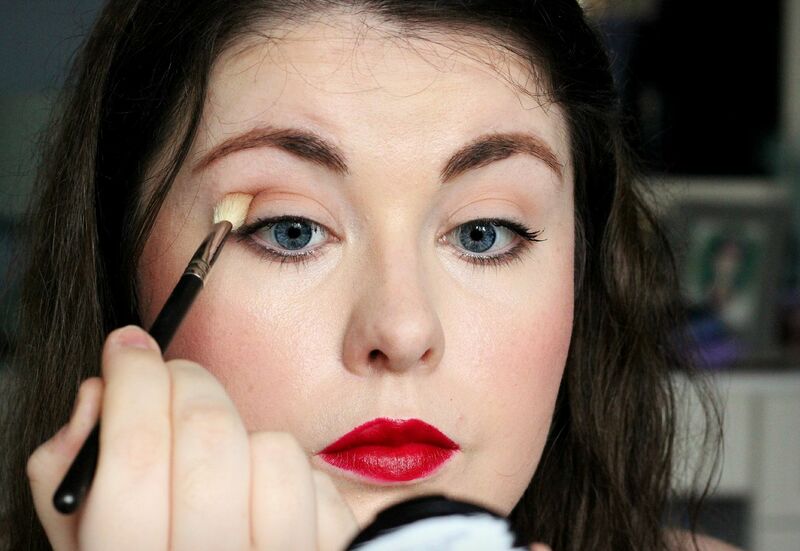 I find it easiest to look down when applying shadow in this way, little tip for you there. Using a windscreen wiper motion, sweep the product back and forth until you have the right amount of depth. Using the smaller smudge brush, run the colour under your lashes. It depends how low you want to go (hehe), but basically you’re creating a shadow, which gives the illusion of your eyes looking bigger. … and that’s it. 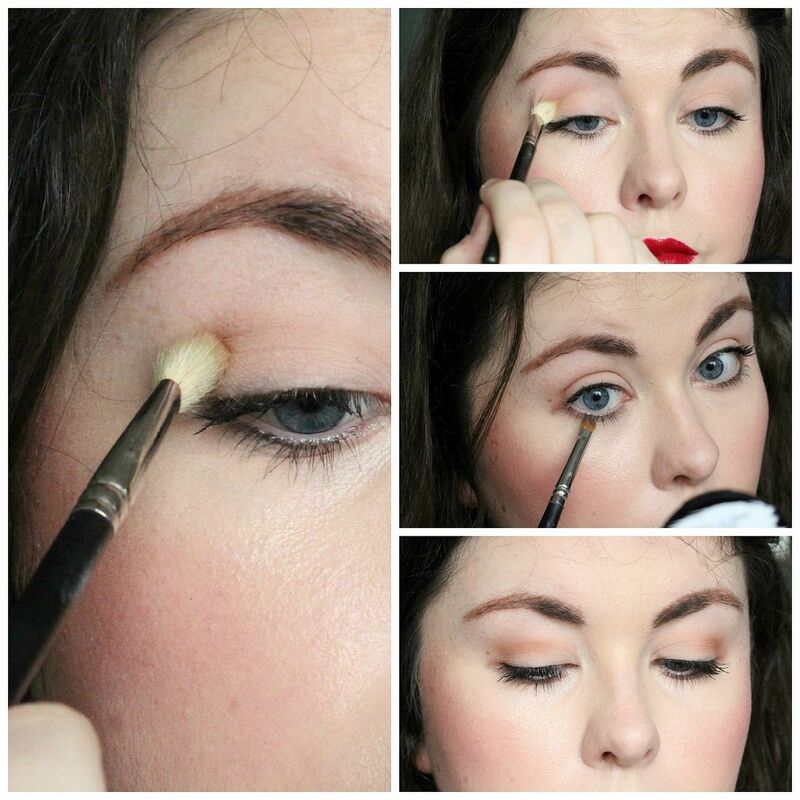 It’s so so easy, but contouring your eyes gives such a defined look. I love it with a bold lip, because it doesn’t look like too much. What do you think? Is contouring your eyes for you?